with this Shiraz from Orange in NSW's Central West. ONE TO NOTE: WINEMAKER Peter Logan brushes aside his own skills, and says it's the high altitude cold climate and volcanic soils of the Orange region of Central Western NSW that give the elegance and purity for which his Logan Ridge of Tears Orange Shiraz is enjoying such a growing reputation. And a new one that's a real stand-out is his 2014 from a vintage that Peter says was "remarkably average" as regards temperatures, rainfall and sunlight hours, yet for some reason saw grape yields considerably below average. And low yields, as Peter points out, mean more concentration of flavour and texture. With a medium-bodied palate of smooth and velvety red berry flavours, nice spiciness and a soft finish, here's one that truly is ideal with flame-grilled lamb loin chops off the barbie; pay $45. with oven-baked pork belly and a creamy sauce. WESTERN Australia's quirky-named Fifth Leg have a new addition to their range that they've dubbed their Treasure Hunter series, embracing within it their "new-range treasures" of a Chardonnay, a Sauvignon Blanc and a Cabernet Merlot. For those who don't know, the Fifth Leg label is named after the fossilised remains of a Tasmanian Tiger were found in WA's Margaret River wine region's Devil's Lair Cave, together with a fifth leg – and begging the questions: how did a Tasmanian Tiger end up in a Margaret River cave, and where did that fifth leg come from? Whatever the answers, the company's new Treasure Hunter series is a rewarding one. In particular, try their 2015 Treasure Hunter Chardonnay that's wonderfully full-flavoured due to low, but intensely flavoured fruit yields as a result of unkind weather during vintage that reduced vine flowering. Concentrated lemon and white nectarine are to the fore in this one, with hints of hazelnut and green apple as well. Pay $20 and enjoy with fresh crabs, prawns or other seafoods, but if they're not your go, match with oven-baked pork belly and a creamy sauce. Italian wines have never enjoyed such a high profile in Australia. Prosecco out sells Champagne, and varietals like Nebbiolo, Sangiovese, Pinot Grigio, Nero d'Avola and Barbera, once only found in Italian restaurants, are on wine lists and bottle shop shelves everywhere. One of the factors driving this increase in public awareness is the growing number of Italian varietal wines made by Australian winemakers. Understanding these Italian varietals and how they fit with the imported versions and other styles of wines can be a challenge for restaurants and cafés who don't have an experienced sommelier on hand. What do think are the major differences between wines produced in Italy and those made here in Australian? Well I can only answer this in the most general way, because there will always be exceptions, however, I would say one of the biggest differences is that Italian wines are produced to be consumed with food whereas a lot of Australian wine is made for just drinking. This means that Italian wines have a tendency to taste better when you have them with an antipasto or a meal, as opposed to just drinking them by themselves. Italian white wines are generally more textured, more complex and often with higher acidity. Italian reds also show comparatively higher levels of acidity along with being more structured and tannic. So when wines with this sort of profile are enjoyed with food, you find that the wine brings out the best in the food and vice versa. Australian wines on the other hand have a tendency to have more prominent fruit flavours and this makes then easier to drink even unaccompanied with food. This is true for both whites and reds. Even the big Australian reds, although very high in tannins, will tend to have words like juicy, jammy and fruit-driven in their tasting notes. Are Australian-grown Italian varietals very different than their Italian imported counterparts? It is truly amazing how many indigenous Italian grape varieties have been planted in the various growing areas of Australia. Wine will always mirror the climate and the soil of the growing area, so naturally, vines of the same varieties grown in Italy will always have different characteristics and flavours to those grown in Australia. Italy's wine growing areas are extraordinarily varied. Look at the vineyards in Alto Adige, Tuscany, Puglia or Sicily, such huge differences in soil and climate, it's hard to believe it is all the one country. In Australia, there does not tend to be such a dramatic variation between the wine growing areas. You also need to keep in mind there will be a big difference in the age of the vines and this is has a significant influence on flavour, perfume and structure. I think those of us in the wine business should help the customer experience these differences for themselves. You don't have to have either an Italian Nebbiolo or an Australian Nebbiolo, have both and encourage people to explore and discuss these comparisons. If people have recently discovered a locally grown Italian variety, they will most likely be keen to taste the wine from its original home as a point of reference. Using the theme of Australian versus "old-world" is always a interesting theme of a wine dinner and can also be very inspiring for chefs. Other than Italian, what other types of food can be matched with Italian varietals? You may be surprised to discover how well Italian wines are suited to the cuisines of non-wine producing countries like Vietnam, Japan, Thailand, and Malaysia. The food in these countries is characterized by strong, spicy aromas and flavours. In the case of Japanese or Korean cuisine, they can also be quite umami-rich dishes. Wines from the northern, Alpine regions of Italy like Ribolla Gialla, Friulano, Malvasia, Gewurztraminer and all the grapes of the Riesling family like Muller Thurgau, Gruner Veltliner, Sylvaner and Kerner are fantastic accompaniments to these cuisines. These wines have crisp acidity, hints of spice and sometimes a little residual sugar that provides just the right balance to the spiciness of the food. But it's not just whites. Red wines made of Cannonau, (which is the same as Grenache), Pinot Noir, Dolcetto, Barbera and Cesanese del Piglio are also wonderful compliments to those cuisines, as they tend to have softer tannins, higher acidity and unimposing fruit flavours. How do you recommend an Italian wine to a customer who knows nothing about them? I think most customers will find it easier to understand an unfamiliar wine, if you compare it to varieties and styles which they are familiar with. Now generally, I don't like the idea of equating one wine with another, as it defeats the purpose of trying something new. However, here are some useful comparisons that will help customers understand the broad style of wine. You might have noticed that Sangiovese is not on that list, because it is very widely grown and makes so many different styles of wine. This makes it difficult to compare to international varieties. It can be as bold and earthy as a cabinet sauvignon, or as delicate as a cold climate pinot noir. Do you have any advice on how to categorise Italian wines on a wine list? I am a big fan of wine lists that list that categorise wine according to style, weight and flavour profile, rather than grouping them by region or variety. An establishment that does this exceptionally well is Pei Modern in Melbourne. On their Wine List you'll find white wines classified under titles such as: Aromatics; Minerality and Restraint;Perfume and Texture; With Depth and Richness. Red wines are grouped under: Light and Bright; Aromatic and Medium Bodied;Textural and Juicy; Medium Bodied with Structure; Depth and Weight. You can see how this system of classification gives the customer a reasonably good idea of what they are getting. It also makes it easier for a wine buyer to create a balanced list with a mix of the familiar and the new. or a range of Greek and Mexican fare. ONE TO NOTE: WE'VE long had a fondness for Sauvignon Blanc, and while most think of it as a purely summer-drinking wine, there are plenty of reasons to put it on the table with winter-time meals too. Or simply enjoy it on its own. A full-of-flavour Sauv Blanc that's currently on the shelves is Blossom Hill's 2015 made from fruit sourced from across South Eastern Australia. All about crisp and zesty fresh citrus flavours, this one's nicely accompanied by tropical and passionfruit aromas that make for a rewarding drop at just $13 a bottle. An ideal match is with Thai green curry, while you'll also find it pairs well with Greek and Mexican dishes that have plenty of tomatoes, green onions, olives and feta. And even simply with fish and chips. tapas to roast chicken, rack of lamb, tacos, nachos or burritos. AMONGST the fastest growing wines in terms of new plantings in Australia is Tempranillo, an easy-drinking medium-bodied and fruity red that was first planted here in the early 1900s, waned, and was resurrected again with more serious intent around the 1980s. Today this native of Spain is grown in all major Australian regions by some 200 or more producers, with one to look for being the NSW Riverina's Calabria Family Wines' Cool Climate Series that's made from fruit from the Hilltops area near Young. Full of varietal cherry and plum fruit flavours, a touch of leatheriness and with a mild clove spiciness, it's an excellent example of just why Tempranillo has really taken off amongst drinkers in the past five years or so. Winemaker Bill Calabria used only hand-harvested fruit for this drop that's so well-priced at just $15. Enjoy it simply with tapas or other light snacks, or main courses of anything from chorizo sausages to roast chicken or rack of lamb (as it is in its home-country Spain,) or even think more-Mexican tacos, nachos or burritos. to go with so many tempting dining ideas. ONE TO NOTE: PIPERS BROOK Vineyard on Tasmania's north-east coast sits right in the heartland of Australia's coolest and southern-most wine region, an area whose often teeth-chattering morning's and cool maritime climate prove ideal for making the island State's great Pinot Gris wines. A now-available 2015 is a great example of Pinot Gris from such cool climate regions, with lovely rich and savoury suggestions of pears and honey, tropical fruits and a sweet ginger and cinnamon spiciness. There's subtle oak too that adds complexity and palate weight, and will help promote the wine's ageing potential. AWAY back in 1896 when John Riddoch and William Salter made Katnook Estate's first wines in a woolshed on their property in Coonawarra, their Shiraz was looked upon somewhat more propitiously than their inaugural Cabernet Sauvignon. Today, however, it's the other way around with the company's Founder's Block Cabernet Sauvignon now its biggest seller, and with Shiraz playing a somewhat lesser role. Which to us is all a bit mystifying as their Shiraz is a cracker drop from fruit grown on some of the best of Coonawarra's fabled terra rossa soils, plus even more encouragingly it sells for just $20 a bottle. And their just-released Katnook Founder's Block Shiraz 2015 is another pearler example, being all about generous raspberry and plum fruit flavours, varietal pepper and spice overtones, and noticeable but not overwhelming oak. With that $20 price tag it's great buying for this time of year with a hearty slow-cooked lamb shank casserole… and can perhaps still be summed-up as we recently saw it written about in an historic 120 year old copy of the Border Watch newspaper from 1890, as "most desired and saleable to meet the most fastidious palate." IN his continuing search for the more weird and wondrous in this world, David Ellis says one of France's most expensive Champagnes was created not for some wealthy French plutocrat, but for a Russian Tsar. And it's still bottled to this day in a bottle designed at his behest, and a methuselah of the stuff – the equivalent of 8 normal bottles – that was made in 1990 has just sold at auction in London for the equivalent of AU$8,350. 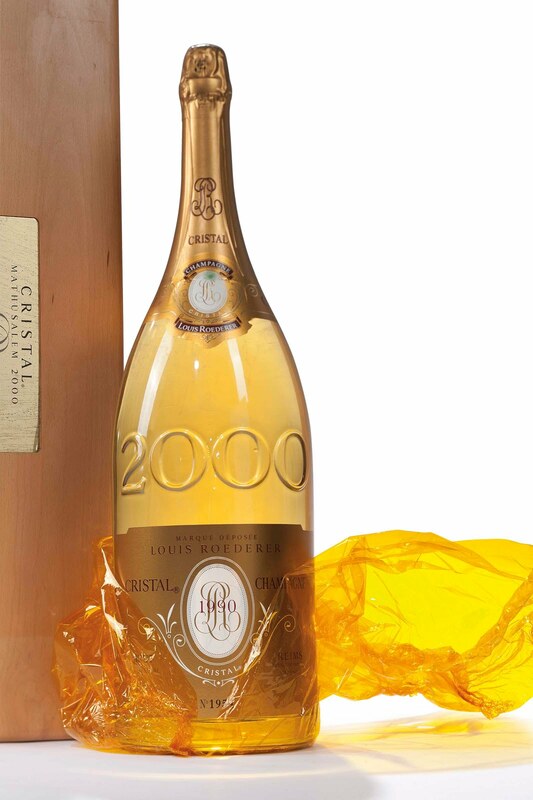 The colourful history of Louis Roederer Cristal Champagne goes back to 1876 when Tsar Alexander II ordered winemakers at the French company to make a bubbly to his exact taste requirements, and then insisted it be bottled in clear glass rather than the traditional green of Champagne bottles – so he could see that it contained no discolouring poison. The reasons behind all this were Alexander's paranoia about assassination. And today Louis Roederer Cristal Champagne has become one of the world's most expensive bubblies – the AU$8,350 paid at Bonham's Auctions in London attesting to that. And as for Alexander… as he feared, he did indeed fall victim to assassination, but it was by bomb not by poisoning, in March of 1881. ONE TO NOTE: THE HUNTER Valley's Andrew Margan used fruit off some of the oldest Verdelho vines in Australia in his excellent-value 2015 Verdelho that's a steal at just $20 a bottle. Some of these vines were planted over 100 years ago and by blending their fruit with that of later plantings, Andrew has produced a drop that rewards wonderfully with subtle citrus and mouth-watering tropical fruit flavours, and a crisp and spicy finish. A buy-now-drink-now drop to enjoy young and fresh, it's fruitiness makes for a marvellous match with spicy Thai and Malaysian dishes. when celebratory bubbles are called for. Nor that in fact the foul winds that frustrated him in his quest to put foot ashore here, would become so integral to Tasmania's climate that its vineyards would thrive here to produce many of Australia's premier cool climate wines. One name that pays homage to Tasman is Heemskerk Wines 25km north-east of Hobart, one of the most southerly cool-climate grape-producers in Australia. And their just-recently released 2011 Abel's Tempest Tasmania Chardonnay Pinot Noir is a drop you'll find is up there with the very best of Aussie bubblies, and an ideal drop when the call is for a rewarding celebratory sparkler. Interestingly this one came from a vintage that began with poor fruit set due to severe spring frosts, some cold spells in January, and then a rewarding Indian Summer of glorious autumn days that resulted in the best of fruit for making sparkling wine. Pay $32 for this great drop for special, or any-time, celebrations. The IWC is generally accepted as the world's finest and most meticulously judged wine competition. Every entry is blind tested assessed for its faithfulness to style, region and vintage. A rigorous judging process sees each medal-winning wine being tasted on three separate occasions by at least 10 different judges. These two new trophies add to the global recognition received for the 2013 Mappinga Shiraz (of which less than 1000 dozen was produced). It has also been awarded arguably the world's greatest accolade, The 2015 Decanter International Trophy for "Best Rhone Varietal over £15.00". Gold medals were received from the Royal Hobart Wine Show, The San Francisco International Wine Show, and the San Diego Wine Makers Challenge. It was also afforded 97 points by James Halliday. Sidewood owner Owen Inglis said "this is a great result for Sidewood. We're a relatively young and small winery with an ever strengthening reputation for being one of the world's top producers of super premium Shiraz. To be officially recognised by both the IWC and Decanter the two largest and most influential shows in the world is sensational for both Sidewood and the Adelaide Hills. 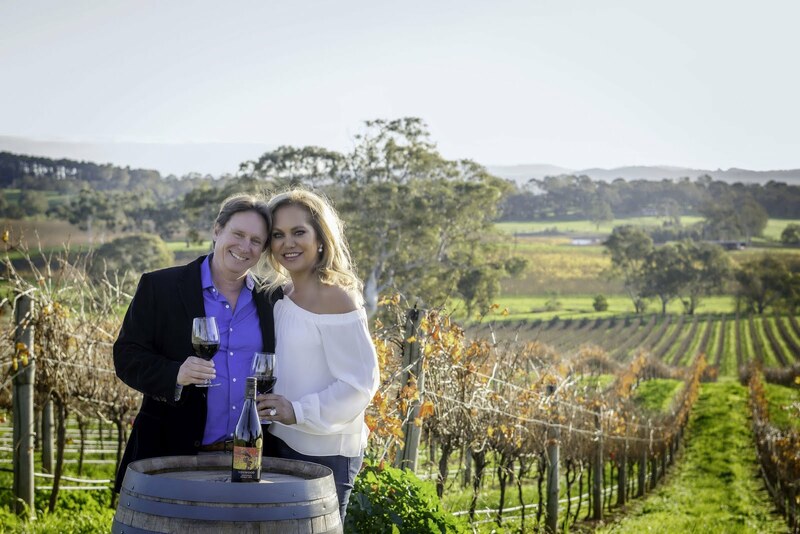 "Our greatest issue with our Shiraz has been our inability to meet demand, and to this end, we've recently purchased a further 25 hectares of land and doubled the production capability at our winery." A 2014 Mappinga Shiraz was not produced, the 2015 vintage is due for release in mid 2017.